In the aftermath of a family tragedy, an aspiring author is torn between love for her childhood friend and the temptation of a mysterious outsider. Trying to escape the ghosts of her past, she is swept away to a house that breathes, bleeds... and remembers. "When her heart is stolen by a seductive stranger, a young woman is swept away to a house atop a mountain of blood-red clay: a place filled with secrets that will haunt her forever. 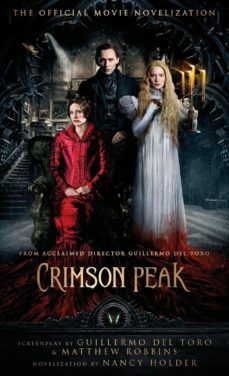 Between desire and darkness, between mystery and madness, lies the truth behind Crimson Peak." From acclaimed director Guillermo del Toro.